If you’re searching for insulation companies that offer top-of-the-line products and services in Greensboro, North Carolina, there’s no better company to choose than 31-W Insulation. We are a family-owned and -operated business that has been serving the home improvement needs of residents throughout the southeastern United States since 1972. Our longstanding history of providing excellent service without sacrificing quality has earned us an A+ rating with the Better Business Bureau, which is why we stand out among insulation companies in the area. Whether you’re looking to insulate a new house or add to the existing insulation, 31-W has you covered. Once you’ve decided on the type and level of insulation that’s right for your house, we’ll schedule an installation at a time and date that’s convenient for you. In most cases, our team can complete the entire installation within the span of a single day, minimizing the disruption to your life and allowing you to enjoy the benefits of proper insulation promptly. 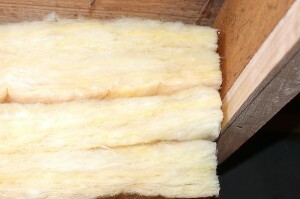 When you’re looking for the best insulation companies in Greensboro, NC, 31-W Insulation is the company to turn to. For more information on our products and services, contact us today.